Welcome to my What I Wore Wednesday Edition of "It's Not Quite Warm Outside But I'm Over Dark Winter Colors"! Please tell me you guys are feeling this way too?? Random story about the weather...On Sunday, Bowen was still under the weather so we skipped church and before the sleet/freezing rain/ice hit I HAD to go to the store. The kiddos and I were loading the car with the groceries and we started getting pelted with sleet AND it was FREEZING cold outside. Sweet Ebby Lee looked up to the sky and screamed, "Jesus, make it warm!". :) I agree 100%, girlfriend!! I was a MAJOR slacker in the picture department this week...so sorry!! This same coat is also available in "blueberry" (a lighter blue) here. Chevron Scarf: Similar here at Target or here at Forever 21. Exact scarf here. Coral Shirt: Exact shirt here. Moto Jacket: Similar version here. Leopard Scarf: I couldn't find anything similar. :( This one has the same color scheme. I ordered this one today for myself! And I ordered these bottoms. I'm all about mixing and matching my suits this year. Must be Shay's influence....ha! 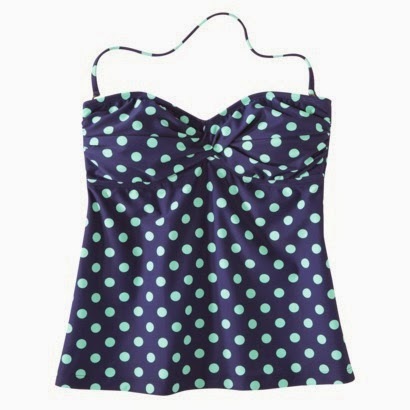 This tankini is super cute. With the matching orange bottoms. I got a cover-up similar to this just a different color and wore it all the time! Ok...this would make an adorable swim cover-up OR just a super cute summer dress!!! I ordered this one for E today. I saw it in the store and it's a really pretty bright coral. Loved it! Another cute option for little girls here. 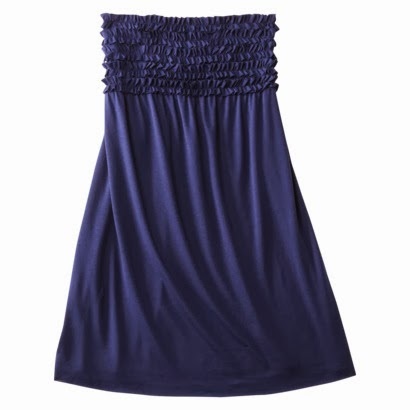 Love this two-piece for little girls. My girly does NOT like showing her stomach! I'm hoping it stays that way when she's in her teen years! ha! I also snatched this up for E. After buying her suit, this cover-up was only $5! They have tons of other cute and super affordable suits. Go check them out!! I will gladly take credit for you mixing and matching swim suits :). I can't wait to spend the summer by the pool with you!!! Sweet Ebby Lee pleading with Jesus! Love it! Off to shop target for swimsuits right now!!!! That moto jacket is the best thing of my life. and the scarf too. 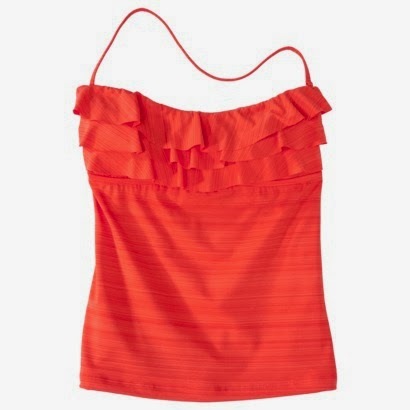 I love the orange coral tankini! That is adorable! I have those same cover ups and wear them all the time! Super comfy and so cute! I ordered that coat last week. I'm exchanging for a medium though :) I got the lighter blue. Thanks for the discount tip. Would you consider a scarf draping tutorial? I lve how you do it!